I'm so excited to know I'll be seeing all the beautiful and brilliant Ooh La La! Ladies in Paris soon! 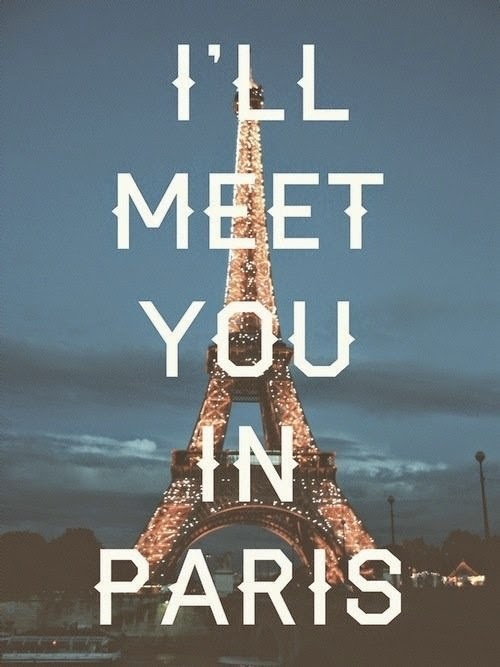 Yes, can you believe it, we have only 19 days left until we meet up in The City of Light! 1. Try out your new shoes to make sure they're comfy and good for walking through the Tuileries. 3. Get extra copies of your prescriptions. 4. Buy pretty things to wear in the museums, cafes, shops and bistros. 4. Leave room in your suitcase for the new things you'll bring home. 5. Make sure your paperwork (passport, prescription list, itinerary, insurance, etc.) is all in order. 7. Get all your electronics in order. Buy a European adapter with two little skinny prongs, as seen here. 8. And finally, click your heels together and repeat after me: "There's no place like Paris! There's no place like Paris!" There's no place like Paris...there's no place like Paris!